Last week a book titled 'Aitoa ruokaa' ('Real food' or 'Genuine food') by Mats-Eric Nilsson was published in Finland. The main point of the book is to bring attention to the ingredients of industrially produced food that is sold in Finnish super markets. The main ingredient of these patties, as the first item in the list (the ingredients have to be listed in the order of their proportional weight) is 'chicken meat or skin', not pork or beef as one would expect. Actually, one would not expect to find any chicken from these patties based on their name. 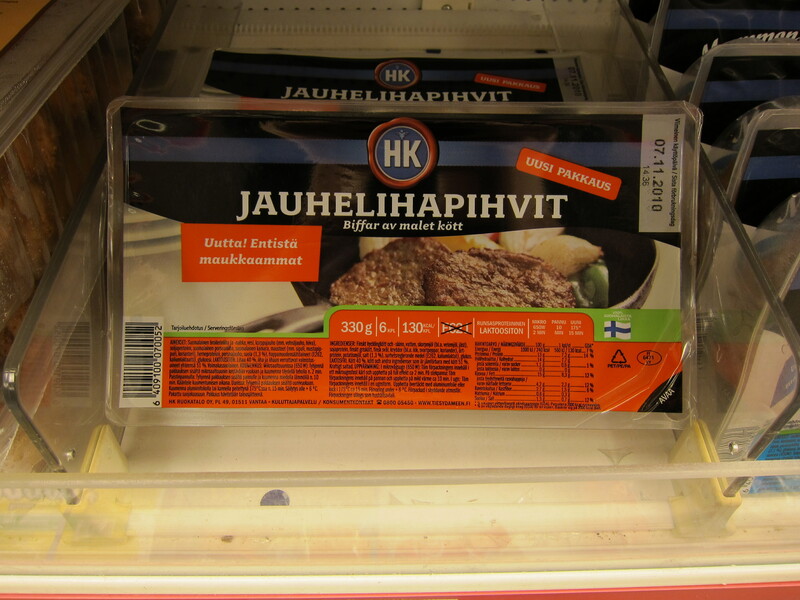 The Finnish consumer union and Evira (Finnish Food Safety Authority) both made announcements earlier this year, stating that using the name 'jauhelihapihvit', minced-meat patties, is misleading and illegal in this case. Still, more than 100 days after these announcements were made, these patties are sold with exactly same ingredients and misleading packaging as before. Mats-Eric Nilsson, the author of the recently release book is wondering how this is possible? In Sweden his books with very similar in content caused a major public reaction, more than 400 000 copies of his books were sold and the food industry had to change their behaviour. 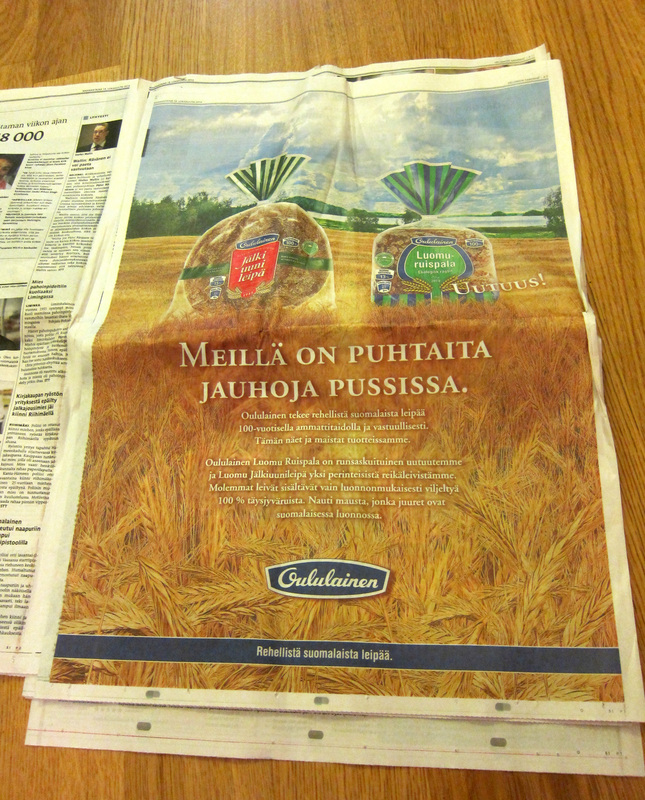 The add is by one of the biggest bakeries (I guess one should speak of a 'bread manufacturing company' in this case) and the headline of the add is clearly a direct comment to the release of the book. If you translate 'Meillä on puhtaita jauhoja pussissa' directly, if means that 'We have clean flour in our bags'. It's a very old Finnish saying which basically means 'we are honest'. Otherwise the newspaper had no other mention about the release of the book. Luckily we are less and less dependent of conservative main stream media and have many other means for finding out information and forming our own opinion about things. Even though main stream media is silent about the book, it has currently run out of stock.